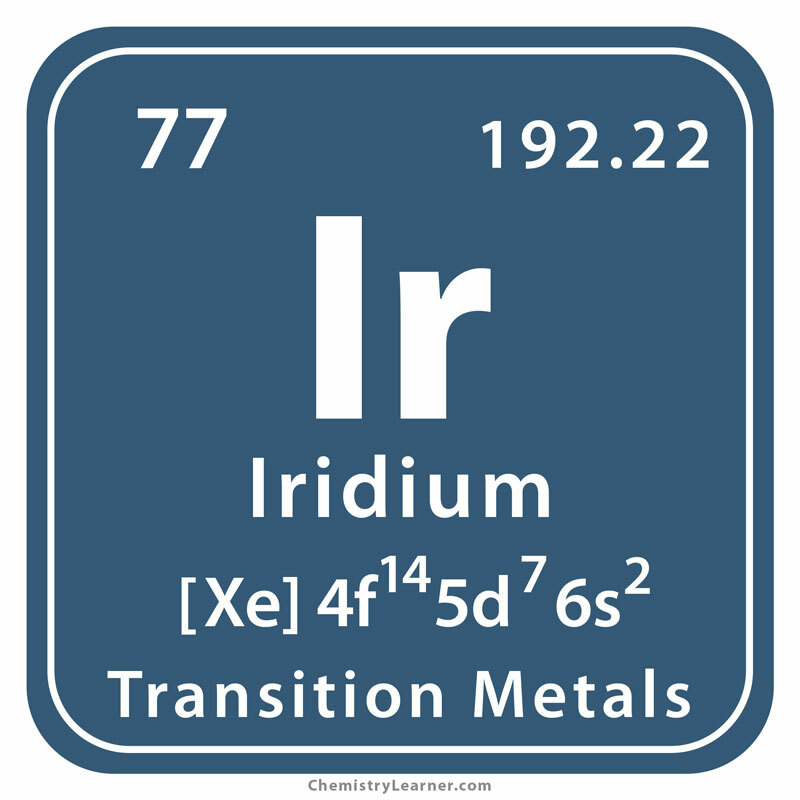 Iridium (pronounced as i-RID-ee-em) is a hard and brittle metal represented by the chemical symbol Ir. 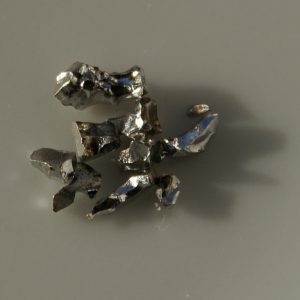 It is the least reactive element, belonging to the platinum family. 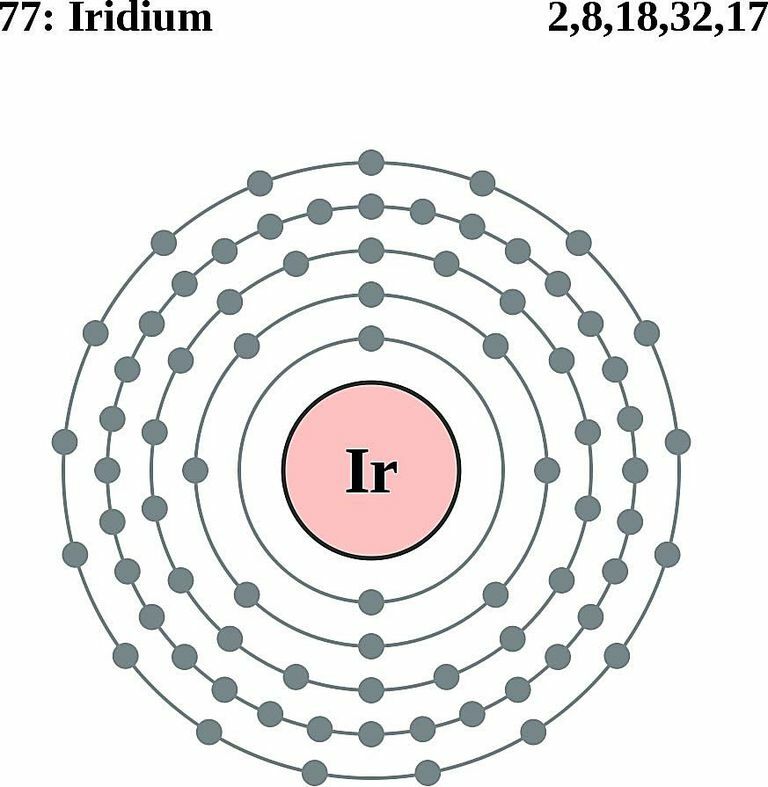 It has 34 isotopes with mass numbers ranging from 165 to 198 of which only Ir-191 and Ir-193 exist naturally with a stable half-life [1, 2]. It is one of the rarest elements found in an uncombined form in sediment deposits of river. Also, it is commercially obtained as a byproduct of nickel refining . Origin of its Name: Its name is derived from Iris, the Greek goddess of the rainbow . In 1803, Tennant dissolved crude platinum in dilute aqua regia to obtain a black residue of graphite. 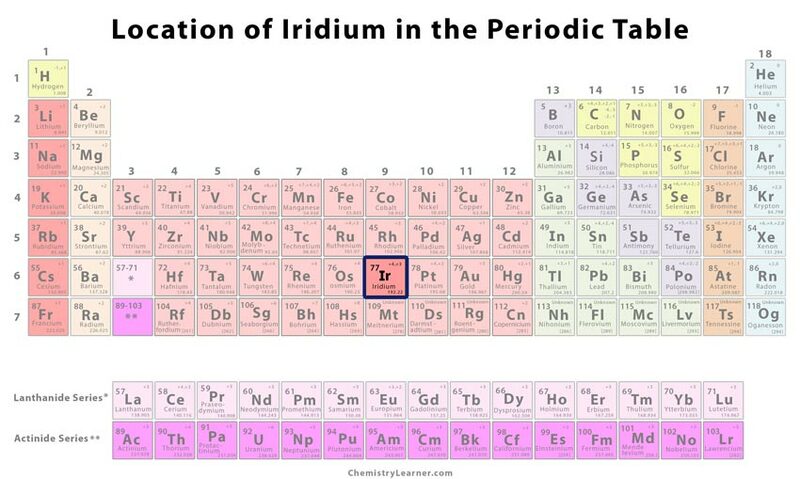 After treating with alkalis and acids alternately, he was able to obtain two new elements of which one was named iridium and the other osmium at the Royal Institution, London. Later in 1813, Humphry Davy, the Cornish chemist, and his team tried to melt the new metal using high power current generated by large batteries . 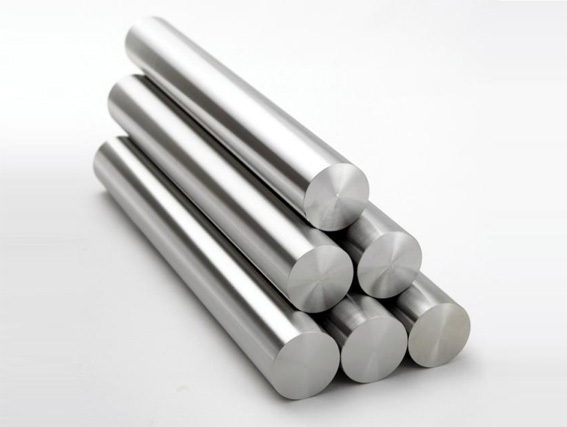 Since Ir is resistant to corrosion, it’s mixed with osmium to produce alloys used in pen tips and compass bearings. 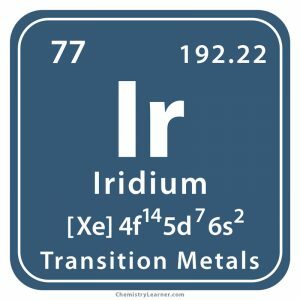 Standard meter bars, crucibles and spark plug contacts prepared from a mixture of 10% iridium and 90% platinum have a high melting point and low reactivity [1, 2]. 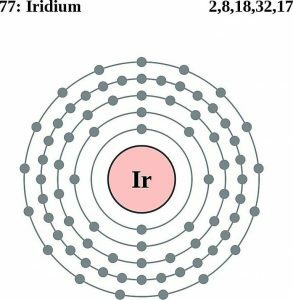 Iridium-192, a radioactive isotope of the metal, is a potential therapy for prostate cancer . Ir implants can be used in the radiotherapy of breast cancer . Iridium combined with platinum have been made into electrodes that may the potential to manage hearing impairment. Although the metallic element has low toxicity, accidental eye or skin contact with some of its compounds cause severe irritation. In some animal studies, its inhalation and ingestion has been shown to cause respiratory and abdominal issues . 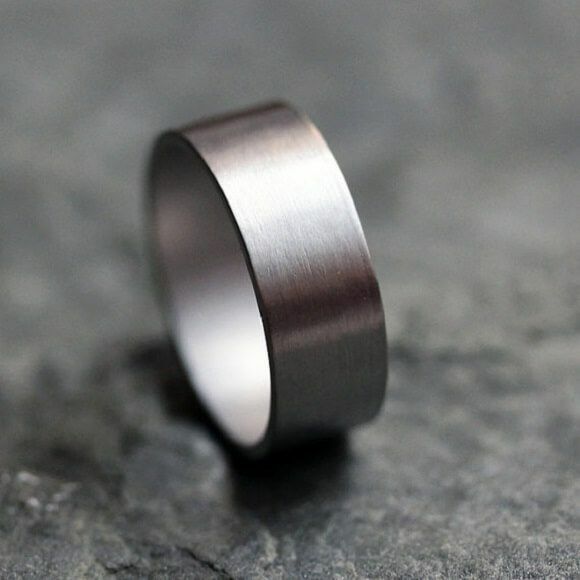 The cost of the pure metal is anywhere between $ and $ per gram.